Which Book Cover and Title Should I Use? Figuring out which book cover design or title to use can be a daunting task. The harsh truth is that potential readers will judge your cover and its title. The cover and title tell so much about your book: if you fail to entice the reader in these two important areas, then what reason do they have to believe that your content will deliver any better experience? So how do you, as a writer, ensure that your next work has an effective cover and title? Split-test. Doing a proper split-test guarantees a better and more enticing book cover! When you launch a book without split-testing the cover and title, you aren’t able to gauge how people will react to it. You could have a bad cover and title and not even know it! In addition to that, running a split-test offers valuable insight that will help you continue to improve your book until it perfectly appeals to your target. So, where do you start split-testing your book covers and titles? With the abundance of technology, authors are utilizing split-testing more than ever. Whether they’re promoting physical or digital copies of their books, authors realize that they can’t just wing a book cover and expect it to sell. Likewise, they’ve begun testing to find out which book cover best fits their work. Here’s a number of ways you can make sure you have selected your best cover as well. If you currently own a website or a blog where you promote your books or yourself, things will be easier for you! You can use your platform to run polls to do your book split-tests! There are several available tools that you can easily embed on your website. When you regularly publish, it’s also a big plus since you already have traction for the audience which will likely buy your published book. One free great tool that you should look into is SurveyMonkey. One of its great features is that you can easily share your poll to your social media accounts which can give you more engagement. As an author, it’s important that you’ve already established your subscriber list. Your subscribers should be a priority not just for when you’re promoting your book but they can also be a great source of data for when you’re split-testing book cover designs. A great approach is to send them identical emails about the promotion of your book but with different covers and titles. Using this method you can easily find out which one had the best design by simply looking at the click-through rate. Social media giant-Facebook is one great platform where you could split-test your book covers and titles. Facebook has an easy-to-set up advertising platform where you can run several ads for your books while having different covers. You can also choose a set demographic, area, interest, and a number of other factors. Aside from that, you can also take advantage of the organic traffic you’re getting by simply asking them which cover they like better. Aside from the above-mentioned methods, using polling software still remains the most reliable source of feedback. Software like Pickfu allows you to get results without much effort. They already have an established audience which will respond accordingly. Also, it’s not just limited to votes! Pickfu respondents give comments about your cover and title which allow you to know what exactly needs to be changed. I don’t typically decide on a cover without running it through Pickfu and you probably shouldn’t either. But, as usual, good-ole-fashioned human interaction should still be the determining factor when choosing the best design. As the author of your book, you should have the first and final call for the cover—which is why you’ll eventually need to test it first-hand. Here are a couple of ways you can do just that. The most obvious choice for getting feedback on a book specific question is to ask your friends and family. The good thing about this is that the genuinely care and want your book to do well. This can go wrong if you have some people who are a little more opinionated than others which can lead you to want to put more weight on their vote than others. To accurately decide which cover or title is better you will need to ask over 20 people and count each of their votes equally. One easy way you can split-test book covers and titles is to actually print physical copies of it in full size and compare them with other published works. Simply go to the bookstore on your genre aisle and put them both on the shelf with the other books. This will make it crystal-clear on which one stands up to your competition. 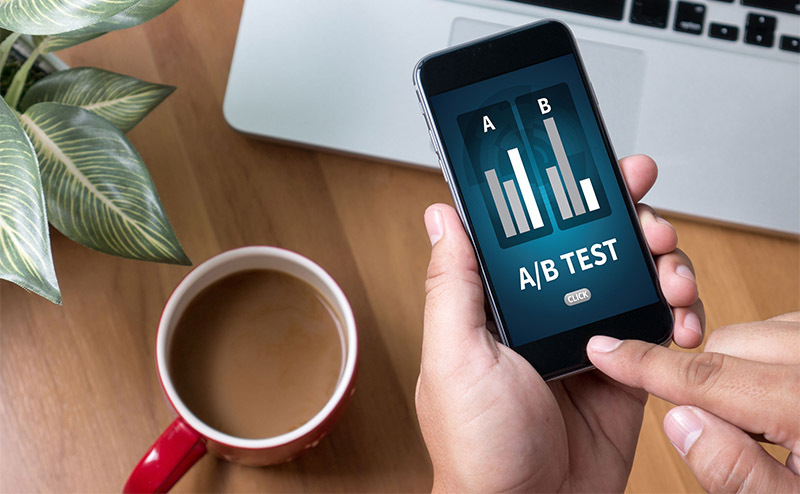 While your split-tests might not perfectly replicate the real-world scenario of your buyers, it does offer you greater insight on what appeals to them. At the same time, it allows you to gauge which of your book cover designs and titles would be the next best seller. Do you have any other great ideas on how you can create the ultimate split-test for your upcoming books? Let us know in the comments below!